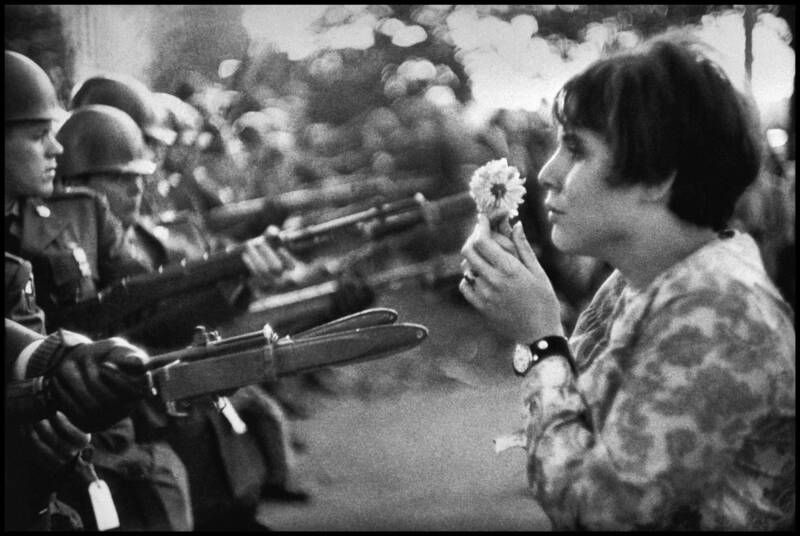 17-year-old Jan Rose Kasmir raises a chrysanthemum to the tip of a soldier’s bayonet during a march on the Pentagon protesting the Vietnam War. Photographer Marc Riboud took the picture on what was to become an historic day. 50 years later the same lady was at it again, marching against the election of President Trump, telling people how outraged she was at electing someone who disrespects the post. However the first time round she didn’t even know her photo existed for 20 years. Her father found the photograph in a Magnum photo book and pointed it out to her. She immediately rang the Photographer and things went on from there. She is now an author and inspirational speaker. Amazing what one simple act of kindness can do amid all the horror. A lesson to us all….